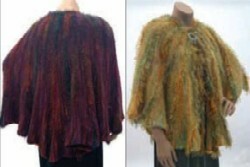 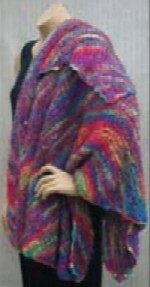 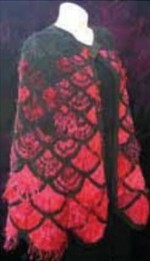 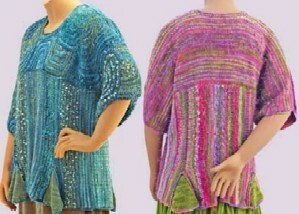 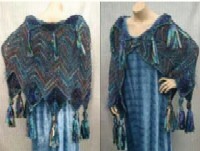 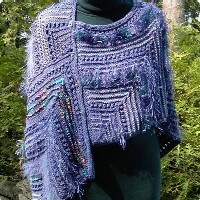 A carefree poncho with an asymmetrical close… or a sassy shawlette? 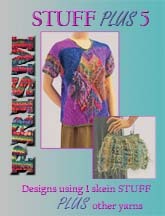 Buttons give you two ways to enjoy your creative artwear. 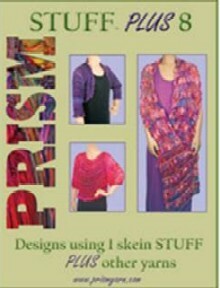 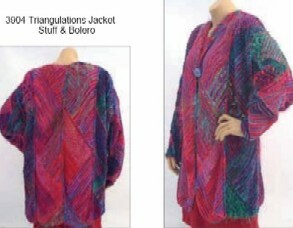 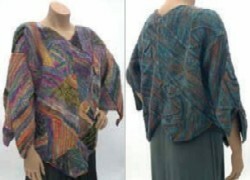 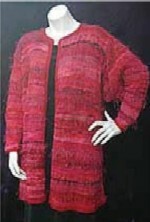 Sizes: 18" x 54" x 37"
Two yarns, two pieces and too versatile not to add to your warm weather wardrobe. 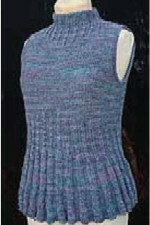 The simple addition of a "ladder yarn" creates easy vertical color stripes. 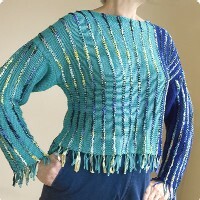 Day or night, self-fringe is fabulous and fun! 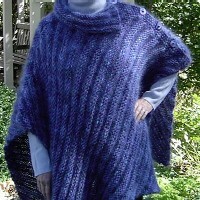 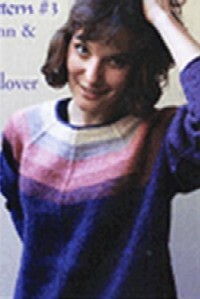 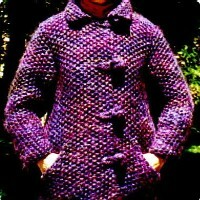 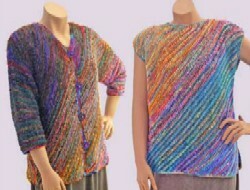 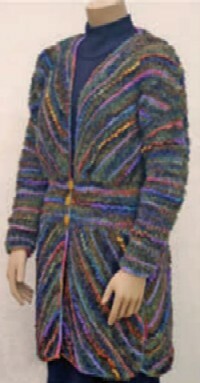 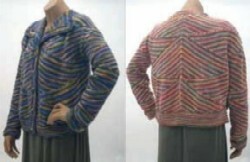 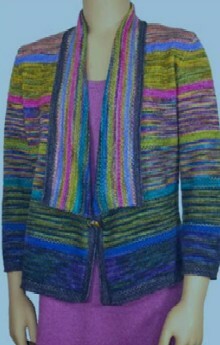 So fun to knit, so cozy to wear, so good looking and slimming! 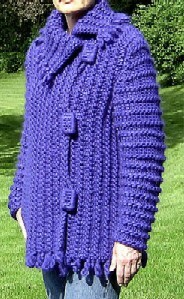 How’s that for benefits! 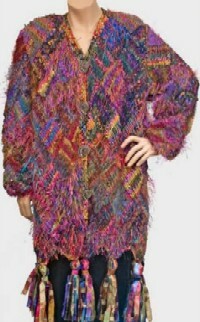 Oh, and fringe too. 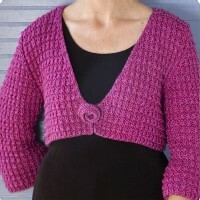 Wear the buttons up the shoulder, down the front or anywhere in between. 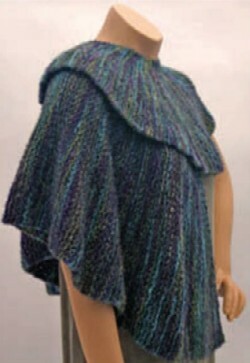 This warm and wonderful cape is ready for any adventure in whatever yarns you choose. 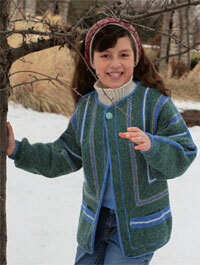 Chase the winter chills in classy style and cozy comfort. 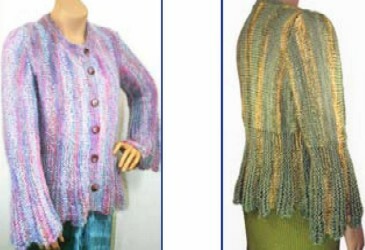 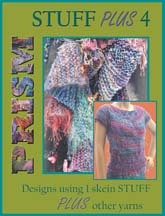 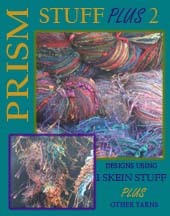 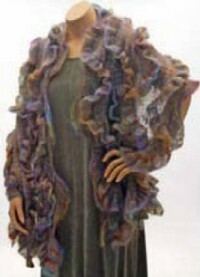 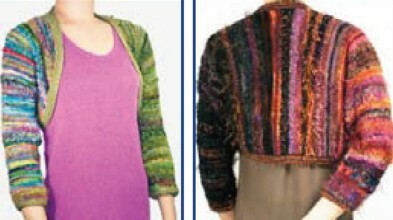 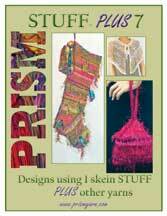 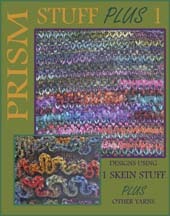 Combine yarns, colors and textures for your own one-of-a-kind creation. 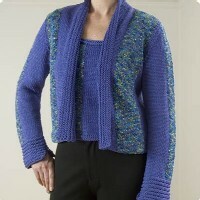 The perfect finishing touch with a separate, elegant faux fur collar created from all your favorite stash yarns. 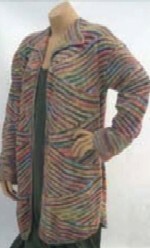 For those quieter occasions the simple lines of the jacket alone complement any style.